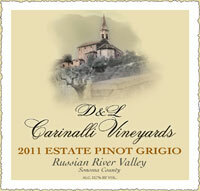 D & L Carinalli Vineyards picked their first harvest of Pinot Grigio grapes in fall 2009. Our 2011 Pinot Grigio wine is now available for purchase. 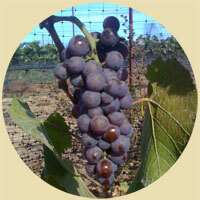 We planted Pinot Griogio in 2007 and harvested our first crop in 2009. Our first Pinot Grigio wine was available in Spring 2010. We did not bottle our 2010 crop. Our 2011 Pinot Grigio is now available. We decided not to bottle our 2012 crop. Look forward to 2013!